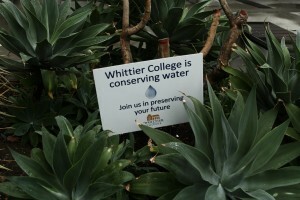 At Whittier College we understand that the path to sustainability is dynamic and ever-changing. We believe that a more sustainable college can be achieved through leadership, direct experience, and continuous commitment. Our students are exposed to the global and local challenges of meeting the needs of current generations, while preserving resources for future ones from a number of perspectives through our faculty’s commitment to excellence.